This pigments is mined at the Copper Hill Mine, located in the southeast corner of Tennessee. Primarily consists of hematite (45%) and magnetite (35%). 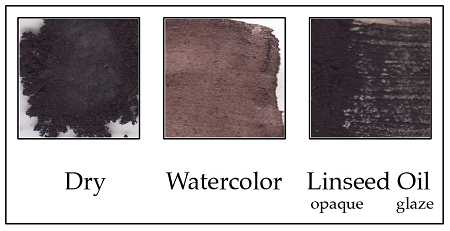 Dense pigment which also lends itself nicely to glazing techniques. Pigment is good but it is moist and must be placed in glass tray for a few days to dry before securing in mason jar.